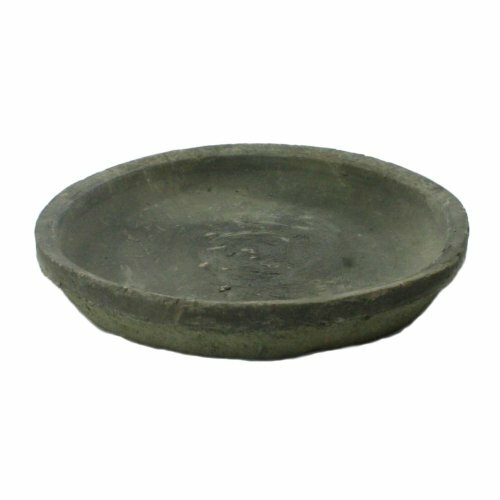 HomArt's Terra Cotta pots, saucers, and bowls are a delight for gardeners and decorators alike. Hand thrown and aged naturally over time in the elements, each piece is unique but all share a weathered aura and are imbued with nature's patina, giving them added depth to enhance the decorative story whether used inside or out on the patio or in the yard or greenhouse. Available in moss grey, whitestone, and antique red, there are many size and function choices, including orchid pots, rose pots, bulb pots, and tomato pots. The shapes vary, as well, from round to oval, again, in a choice of sizes.